On April 30, 2016 at his home in Mesa, AZ, God reached down and took Ricky L. Shaw home after his courageous and selfless battle with Stage IV cancer which was diagnosed in January 2014. Ricky was born on March 17, 1950 in Silverton, OR. He is survived by the love of his life and best friend, Darcy Flahart, sister Marilyn, brother Ralph, his five children: Brandon (Erin), Carey (Ross), Lisa (Wes), Whitney (Corey) and Natalie (Nick) and his five cherished grandchildren Tanner, Dylan, Kaden, Brody and Faith Lynn, who he leaves in the loving hands of his family. Rick is preceded in death by his parents Ralph Ray, Sr. and Thelma Louise, Uncle Elton Parrish, his brother Larry and sister Linda. Ricky dedicated his life to helping people, starting with his service in Vietnam from 1968-1971. After leaving the battlefield he continued his service in the Army at Fort Lewis, WA as a drill instructor. He then moved to the City of Mesa as a firefighter for 32 years, retiring in 2008. 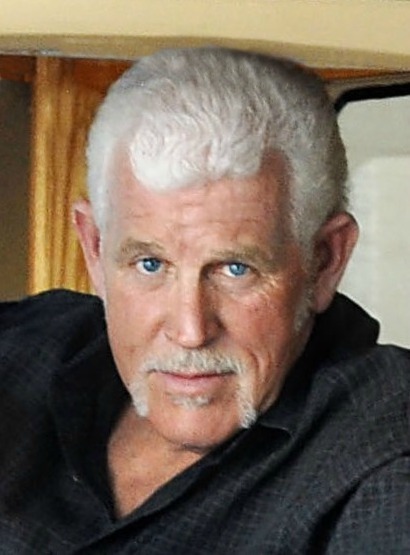 His passions, besides creating a wonderful life with his wife and family, were raising his beloved World Champion American bulldogs, riding his Harley, fishing, helping his fellow rooks and restoring his beautiful ’65 Malibu named Elsie. He will always be known as Root or Bubba and all those he touched will never forget his stories, his boisterous presence, his advice (whether you wanted it or not), his caring heart and his love of God. Rick’s service will be held on Thursday, May 5, 2016 at 10:00 AM at Central Christian Church, 933 N. Lindsay Road, Mesa, AZ 85213. In lieu of flowers the family asks that donations be sent to Barrow Neurological Foundation at Supportbarrow.org – In Honor of Ricky L. Shaw. To Mr. Shaw’s family, I’m very sorry for your loss, and I wanted to offer you some comfort that I’ve found in the Bible. Isaiah 25:8 says “God will swallow up death forever, and the Sovereign Lord Jehovah will wipe away the tears from all faces.” I hope this verse brings you some strength and comfort as you cherish the memories you have of your dear loved one.